Catwoman is out on the prowl one night when kaboom! An explosion at S.T.A.R. Labs rouses the heroes from their slumber. Star students Batgirl and Lois Lane both know the lab incident is fishy, and they meet later to share clues. But nothing could’ve prepared Batgirl for what they see next: Batgirl’s dad out on a date! 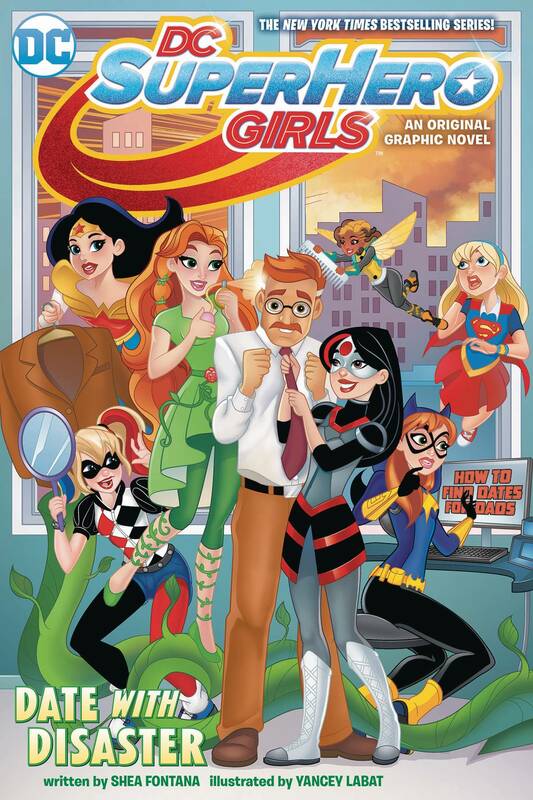 Batgirl is grossed out until her friends convince her that dads get lonely, too. And with the school dance coming up and everyone pairing off-heck, even Principal Waller has a date with a guy called Deadshot-maybe it’ll be okay. 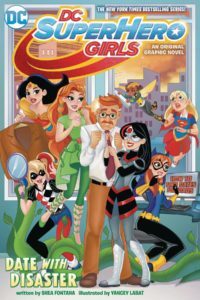 The girls place a personal ad for Commissioner Gordon while they delve deeper into the mystery surrounding the explosion, but they’re about to discover more than who is behind the attack on S.T.A.R. Labs. Could it be that posting an ad looking for dates for the commissioner is like advertising catnip for criminals? 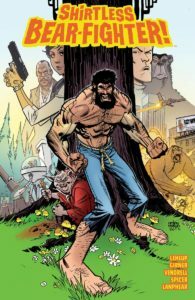 After being betrayed by the bears that raised him, the legendary SHIRTLESS BEAR-FIGHTER wanders the forest he’s sworn to protect, fist-fighting bears, eating flapjacks, and being the angriest man the world has ever known! 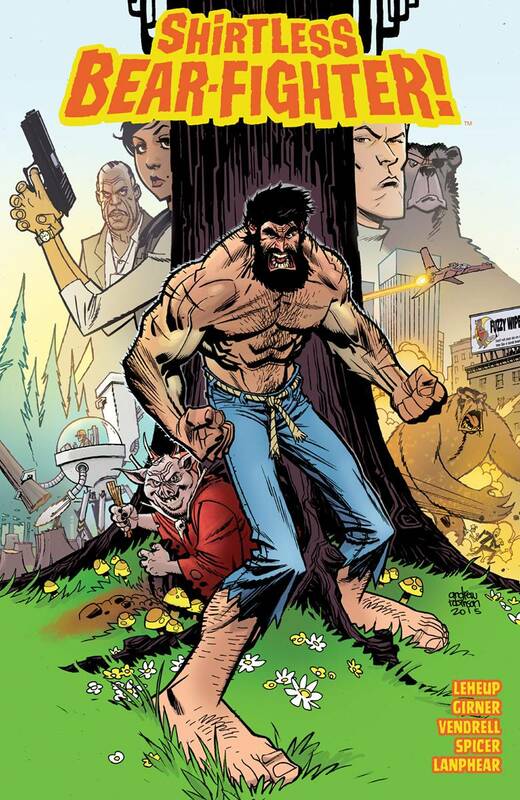 A heart-filled, hilarious tall tale for the ages…you don’t want to miss SHIRTLESS BEAR-FIGHTER!